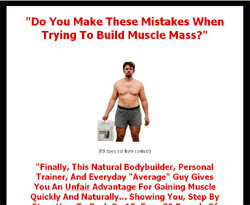 Bodybuilding And Steroids With Mick Hart - The best selling "Layman's Guides" steroid books provide some of the absolute very best steroid reading ever published. The information in these books will: -Explain steroids and their use to you better than any other steroid publication available -This "steroid education" will save you money and protect your health -Raise your level of understanding. -Probably save you years of "gym time" -Share the same "inside information" normally only reserved for the pro's. -Seriously make you laugh.